Vaccines are a stunning scientific achievement. Since their introduction, they have protected millions of Americans from deadly infectious diseases such as influenza, pneumonia, and polio. Yet, amazingly, some people refuse to get themselves and their children vaccinated. There are consequences for this: When people don’t vaccinate, they not only endanger themselves, but their family members, coworkers, and those they encounter throughout the day. 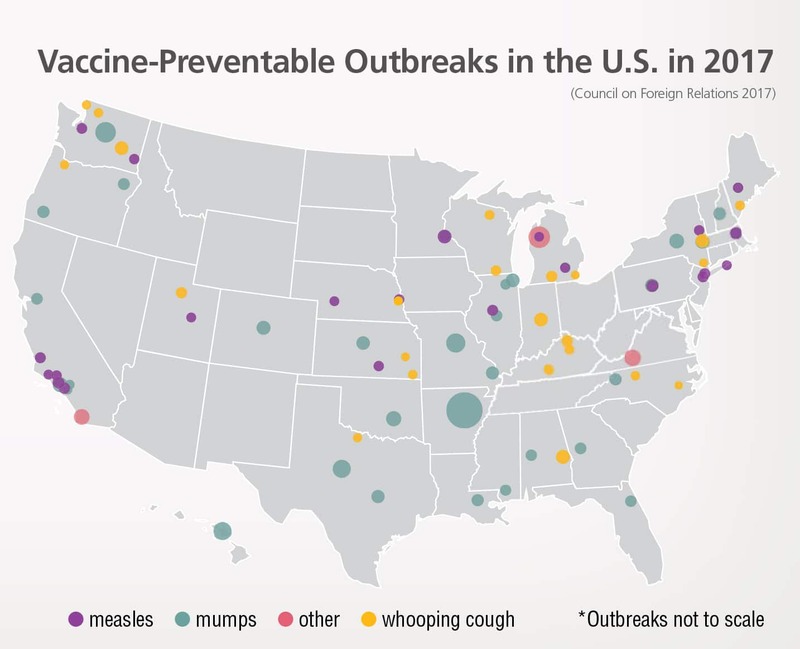 Here’s a visual example of all of the vaccine-preventable outbreaks that have occurred in the U.S. in 2017. But here’s the truth: Vaccines save lives. 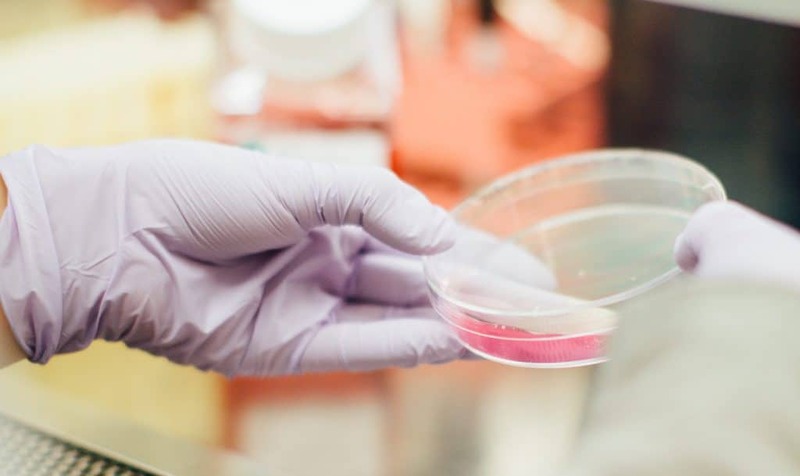 According to the CDC, for Americans born between 1994 and 2013, it is estimated vaccines will prevent 322 million illnesses, 21 million hospitalizations, and 732,000 deaths over the course of their lifetimes. Here’s another example of the impact of vaccines below. 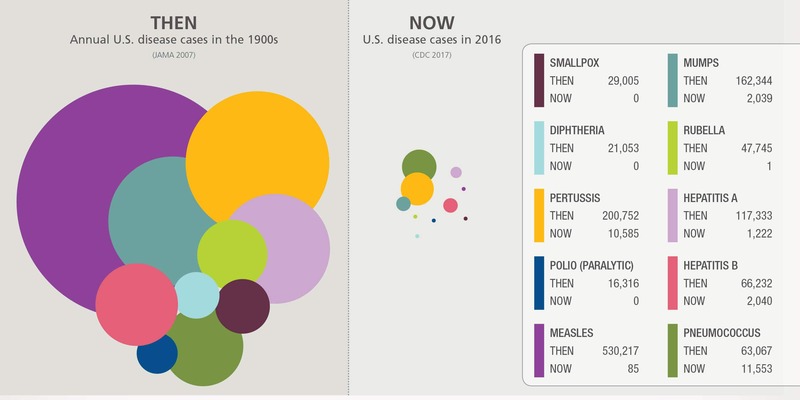 Diseases such as measles and the mumps, which afflicted hundreds of thousands of people per year in the U.S. in the early 1900s, affect a fraction of that number now. Scientific studies continue to show that vaccines do not cause autism. 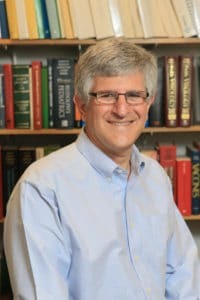 The original article that sparked the fears and controversy years ago was shown to be fraudulent, and the lead author has lost his medical license. Since then, DOZENS of large studies of millions of children have found no evidence of a connection. Vaccines have never contained methyl-mercury — a toxic metal that can accumulate in the body and cause brain damage. Before 2001, some vaccines contained thimerosal — a safe preservative made of ethyl-mercury. And even then, to prevent confusion, the FDA ordered that it be removed from childhood vaccines. The flu vaccine in multi-dose vials still uses it, although thimerosal-free versions are available. There is NO evidence that spreading out or delaying the timing of a child’s vaccinations has any tangible benefit. As we age, our immune system weakens. Older adults are more likely to be infected and develop complications from vaccine-preventable diseases. Immunity from some vaccines can decrease over time, which means booster doses are necessary to maintain protection. Also, some bacteria or viruses change over time; this makes annual vaccinations necessary. Older adults are more likely to have a chronic condition, which can increase the risk of diseases such as influenza. Skipping a vaccine can have serious health consequences. If you are interested in learning more about vaccines, visit our vaccines information page.